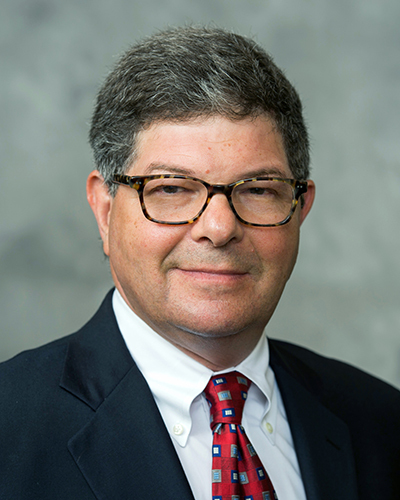 Dr. Shapiro’s research interests include investment and capital utilization, business-cycle fluctuations, consumption and saving, financial markets, fiscal policy, monetary policy, time-series econometrics, and survey research. He has studied the effects of recent changes in tax policy on investment, employment, and output; the saving, retirement, and portfolio choices of households; ways to improve the quality of national economic statistics; and the use of surveys to address questions in macroeconomics. Gelman, Michael; Kariv, Shachar; Shapiro, Matthew D.; Silverman, Dan and Tadelis, Steven (2018). How Individuals Respond to a Liquidity Shock: Evidence from the 2013 Government Shutdown. Journal of Public Economics. Gelman, M.; Kariv, S.; Shapiro, Matthew D.; Silverman, D. and Tadelis, S. (2014). Microeconomics. Harnessing Naturally Occurring Data to Measure the Response of Spending to Income. Science (New York, N.Y.), 345(6193), 212-215. Sahm, Claudia R.; Shapiro, Matthew D. and Slemrod, Joel (2012). Check in the Mail Or More in the Paycheck: Does the Effectiveness of Fiscal Stimulus Depend on how it is Delivered?. American Economic Journal: Economic Policy, 4(3), 216-250. Elsby, Michael W. L. and Shapiro, Matthew D. (2012). Why does Trend Growth Affect Equilibrium Employment? A New Explanation of an Old Puzzle. American Economic Review, 102(4), 1378-1413. Sahm, C. R.; Shapiro, Matthew D. and Slemrod, J. (2010). Household Response to the 2008 Tax Rebate: Survey Evidence and Aggregate Implications. Tax Policy and the Economy, 24, 69-110. Shapiro, Matthew D. (2009). Taxes and Business Investment: Lessons from the Past Decade, Discussion. In Viard,Alan D. (Ed. ), Tax Policy Lessons from the 2000s. AEI Press:Washington, D.C.
House, Christopher L. and Shapiro, Matthew D. (2008). Temporary Investment Tax Incentives: Theory with Evidence from Bonus Depreciation. American Economic Review, 98(3), 737-768.